Today, I showed up to my hair appointment at Aveda in Ann Arbor and was soon told that there had been a scheduling mistake and they wouldn’t be able to see me. I thought, oh bummer but didn’t worry about it too much. The lady asked if I wanted to reschedule and I said I wasn’t sure if I’d be able to fit it in but I’d let her know. She said, well whenever you come back we’ll do your full service free of charge. Wow! Talk about customer service. I’ll be back there tomorrow! After the salon, Feraz and I headed over to an antique shop to browse around. I found the cutest sugar and creamer set. I quickly picked it up to go show Feraz and just as I was showing him how cool it was, the sugar holder fell from my hands and broke into many irreparable pieces. I panicked and looked up at the lady working at the store and said “I’ll buy it!” She just laughed and insisted that we didn’t need to buy it quickly whisking the damaged goods away so I wouldn’t have to be reminded of my mistake. Every time I tried to apologize, she just laughed it off. I am constantly amazed by how beautiful life is. I had heard a lot of good things about this book and was excited to read it. As I started reading, I really didn’t see anything special about it and by the end I was downright annoyed at wasting my time. Part of the problem was that I only read about 70% of the book, often finding myself skimming over sickly sweet passages and sometimes even skipping pages all together because I couldn’t handle any more of the tiring prose. Part of me wants to say that I just couldn’t relate to the 14 year-old narrator but that isn’t fair to the many books with young narrators that I love such as A Wrinkle in Time or I Know Why the Caged Bird Sings. As I was reading the book, I couldn’t quite figure out why I disliked it so much but it became very clear to me when I went to the Amazon reviews for the book after reading it. I have quoted the review that most spoke to me below in the “Don’t Read If” section below. Overall this book seemed an insult to my intelligence and a fine example of poor writing and the commercialization of fiction. Even with all its faults I still think this is a good book for teenage girls. (as long as you explain to them this is not a good portrayal of life in the South during the 60s) Lily struggles with issues of abandonment, low self-esteem and loneliness which I think are very contemporary issues. She resolves these struggles by accepting that mothers come into our lives in many forms. 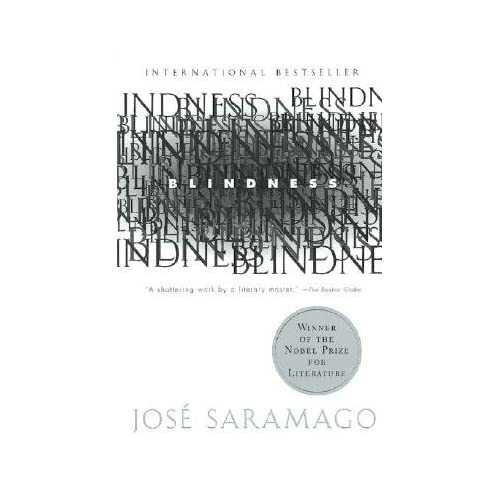 I came across Blindness by Jose Saramago in a Turkish bookstore. It was on a table that hosted classics such as Crime and Punishment and Pride and Prejudice. I had read just about every book on this table but had never even heard of Blindness. I usually only bought books from the used stands in Istanbul because full priced English books were so expensive. I was very hesitant to drop about 18 dollars for a book that I could probably buy on Amazon for 5. But deciding that 13 dollars was a fair price to pay for entertainment and enlightenment I went ahead and bought the book. Jose Saramago is a celebrated Portugese writer who sadly died just a few months ago. He didn’t publish his first novel until he was sixty and after that he wrote many works that were recognized for their brilliance all over the world. 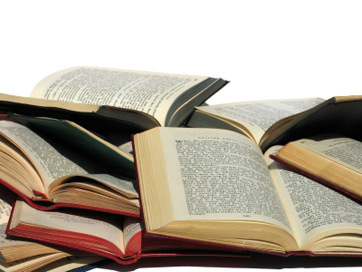 -You are interested in reading an author that shuns conventions. 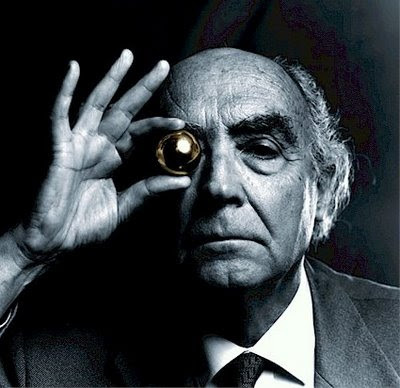 Saramago writes however he wants to (he uses commas instead of periods, uses run on sentences and paragraphs can go on for pages) and creates a world completely his own in Blindness. His characters aren’t named and his writing is as much social commentary as it is anything else. -You like to think about what base human nature is and want one person’s interpretation of that. -You don’t like writers who go off on tangents. -You are squeamish as there are some horrifying passages and Saramago forces us to accept what humans can and will do in desperate times. -You get obsessed over plot holes. If you hated Inception, you won’t like this book. So, last August I started with a goal of reading one autobiography a week and it evolved into something pretty different. I grew tired or reading autobiographies for a few reasons. When I’m traveling it is hard to find autobiographies I want to read and usually they are so big that they are a hassle to lug around. (I’m not sold on the kindle-like things business.) Also, since I was writing non-fiction, supposedly it is better to read other good non-fiction to help you become a better writer. It made sense so I decided to take that advice. Finally, I was just getting sick of reading people’s life stories. I needed a change. Although I didn’t stick to my initial goal in the end I read much more than I have in the last few years and have rekindled my love for reading. And as cheesy as this will sound, and it will sound VERY cheesy, as many places as my travels took me this past year and a half, none compare to the places I visited through books. Books are really and truly a magical thing. Below is a recap of the books I read. In the beginning I was still expecting to write a review of what I’d read but as you’ll see- that didn’t happen. Disclaimer: Many of these reviews are not pretty. Although I have read this book many times, it is always worth another read. Who knows if we will ever see the likes of an Amory Blaine again in the literary world? According to Wikipedia, this book made Fitzgerald famous overnight. The initial printing sold out in three days and just ten days later he was married to the love he lost in the book! 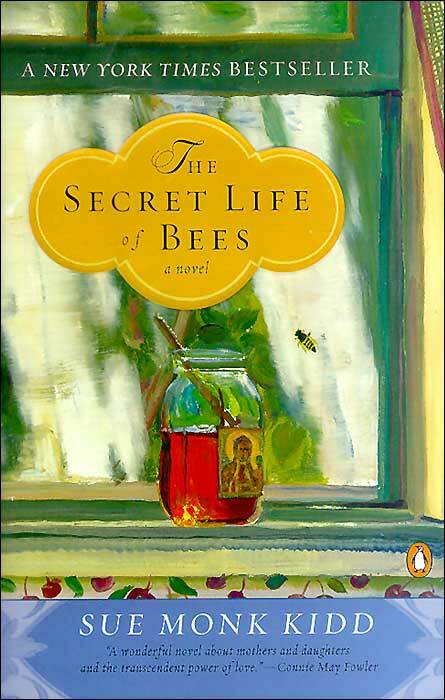 It’s interesting to read books that are memoirs veiled as novels. Whenever I sit down for the writing process I’m not sure how much I’m allowed to borrow from the real world. In one sense, it is all borrowed from the real world. 13: Russian Debutante’s Handbook by Gary Shteyngart: 3.8/5 – I read this book at the recommendation of my friend Jordan and also because it was one of three books in his flat when I visited. It was entertaining and perfect accompaniment to a week in Belgium. 14:The Global Soul by Pico Iyer: 4.1/5 – There were so many passages from this book that I really loved or related to. The begining was full of fascinating tid bits but as the book wore on I wanted to take out an editing pen and cut out chapters all together. The author is ethnically Indian, with a British accent, raised in the US and London and now living in Japan. All these various identity markers have left him feeling somewhat like he has no place in the world to call home and no sense of belonging. Iyer discusses the dilemma of the global soul. He tells the stories of friends who fly over 150 days of the year, those who have won the ‘ultimate frequent flyer’ contest and are given one month of unlimited global travel. Increasingly, we have friends like that. Friends who are never in one place, who travel all week long for work, who have offices scattered all over the world, for whom home because a word that invites a chuckle. Iyer tells many stories that an immigrant can relate to. When you go back home and meet people that think that because you are American you are salvation in human form. That you can take them to America too. You nod your head in the beginning. Saying, insha’Allah, God willing, trying not to let your eyes cast with insinceeity betray you. We create these extremely unnatural lives and then we have to go to extremes to compensate for them. We criss-cross across the world, we move and move until the idea of home is completely foreign. 15: The Curious Incident of the Dog in the Night Time: 4.4/5- good quick read. takes real skill to write a book from the perspective of the boy. 16: Running With the Family by Michael Ondaatje: 3.7/5- The memoir of the author of the English Patient. pretty well done. 17: Son of the Circus by John Irving- 4/5- really interesting look into India. didn’t hate it as much as I dislike most south asian lit. 18. No One Belongs Here More Than You by Miranda July- 4.5/5- great quick read with quirky stories. 21. Consider the Lobster and Other Essays by David Foster Wallace- 5/5- especially loved Up Simba- McCain rules! 22. Chekhov: Collected Works by Anton Chekhov- 5/5! my introduction to Chekhov- absolutely loved him- there is no short story writer that touches him today. 23. The Great Gatsby by F. Scott Fitgerald- 5/5- i highly recommend reading old favorites or old things you were forced to read in high school. totally different experience this time around. 24. Crime and Punishment by Fyodor Dostoyevsky – 3.8/5- i liked it… but i didn’t. took me ages to read. 27 El Diego: The Autobiography of the World’s Greatest Footballer by Diego Maradona- 5/5- the title says it all doesn’t it? 29. Bliss: A Novel- O.Z. Livaneli- 5/5 – one of the best and most honest depictions of Istanbul I have read yet. 33. The Devil and Miss Prynn by Paulo Coelho- 3.6/5- my problem with Coelho is that he is too obvious. there seems to be no art to his writing. 40. Love in the Time of Cholera by Gabriel Garcia Marquez- 5/5- loved it. 41. 100 Years of Solitude by Gabriel Garcia Marquez: 5/5- what a great journey! 42. Reconciliation: Islam, Democracy and the West by Benazir Bhutto: 4.5/5- although i always talk about how much I can’t stand the Bhuttos- every time i read one of Benazir’s books, I have to give her mad intelligence props. There are some books I missed so I probably hit around 48 which was not too far off my goal but want to make sure to get to 50 this year. Also, this time I am keeping the categories open and want to be more consistent of writing my thoughts down afterwords. I hate the idea of reading without reflecting. It seems like half the fun of reading is gone then. I am at about four books for this year and hopefully I’ll get to writing about them verrrry soon!